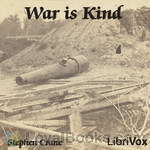 Stephen Crane - Download Audiobooks & eBooks for iPhone, Android, Kindle and more! 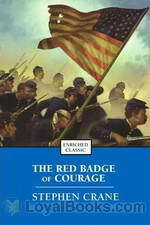 Eleven stories of war by the author of The Red Badge of Courage. 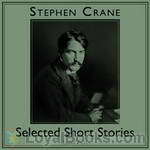 Stephen Crane was an American author. He is recognized by modern critics as one of the most innovative writers of his generation. 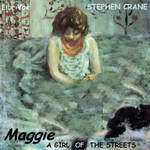 Crane's writing is characterized by vivid intensity, distinctive dialects, and irony. Common themes involve fear, spiritual crises and social isolation. His writing made a deep impression on 20th-century writers, most prominent among them Ernest Hemingway, and is thought to have inspired the Modernists and the Imagists. This collection consists of thirteen stories. The stories are set in the mythical town of Whilomville used by Stephen Crane for many of his best stories. They appeared in Harper's New Monthly Magazine between 1899 and 1900. The writing is crisp, the stories are poignant and funny (usually) and always tell us something about our quirky human nature.